Background/aim: To determine the prevalence and awareness of diabetes and to evaluate associated factors in a population aged 30 and over in the Balçova district of İzmir, Turkey. Materials and methods: In this cross-sectional study data from 12,915 people who participated in Balçova&apos;s Heart Project were evaluated. Diabetes was defined using fasting blood glucose levels according to ADA criteria. Results: Diabetes prevalence was 13.0% and 87.7% of the patients were aware of the condition. Diabetes prevalence was 1.32 times higher in males, 1.31 times higher in individuals with primary school or lower level of education, 1.37 times higher in individuals who perceived their economic status as bad, 1.20 times higher in those who had quit smoking, 2.84 times higher in individuals who had chronic disease, 1.78 times higher in overweight or obese individuals, and 1.65 times higher in individuals with high blood pressure. Diabetes awareness was 1.78 times higher in women, 1.94 times higher in individuals with social security, 2.62 times higher in individuals with a chronic disease, and 3.55 times higher in individuals who perceived their economic level as poor. Conclusion: Diabetes prevention policies and programs that aim for early diagnosis, treatment, and prevention of complications in patients should be developed and implemented for the public. Aksu H, Pala K, Aksu H. Prevalence and associated risk factors of type 2 diabetes mellitus in Nilufer District, Bursa, Turkey. Int J Diabetes Metabolism. 2006; 14: 98–102. International Diabetes Federation. Diabetes Atlas. 5th ed. Brussels, Belgium: International Diabetes Federation Publication; 2011. Satman I, Yılmaz T, Sengül A, Salman S, Salman F, Uygur S, Bastar I, Tutuncu Y, Sargin M, Dinccag N et al. Population-based study of diabetes and risk characteristics in Turkey: results of the Turkish Diabetes Epidemiology Study (TURDEP). Diabetes Care 2002; 25: 1551–1556. Satman I, Omer B, Tutuncu Y, Kalaca S, Gedik S, Dinccag N, Karsıdag K, Genc S, Telci A, Canbaz M et al. Twelve-year trends in the prevalence and risk factors of diabetes and prediabetes in Turkish adults. Eur J Epidemiol 2013; 28: 169–180. Wee HL, Ho HK, Li SC. Public awareness of diabetes mellitus in Singapore. Singapore Med J 2002; 43: 128–134. Ergor G, Soysal A, Sozmen K, Unal B, Ucku R, Kilic B, Gunay T, Ergor A, Demiral Y, Saatli G et al. Balcova heart study: rationale and methodology of the Turkish cohort. Int J Public Health 2012; 57: 535–542. American Diabetes Association. Standards of medical care in diabetes-2010. Diabetes Care 2010; 33: 11–61. World Health Organization. Report of a WHO Consultation on Obesity. Geneva, Switzerland: WHO Press; 1997. Chobanian AV, Bakris GL, Black HR, Cushman WC, Green LA, Izzo JL, Jones DW, Materson BJ, Oparil S, Wright JT et al. The seventh report of the Joint National Committee on Prevention, Detection, Evaluation, and Treatment of High Blood Pressure. The JNC 7 Report. JAMA 2003; 289: 2560–2572. Hadaegh F, Bozorgmanesh MR, Ghasemi A, Harati H, Saadat N, Azizi F. High prevalence of undiagnosed diabetes and abnormal glucose tolerance in the Iranian urban population: Tehran lipid and glucose study. BMC Public Health 2008; 24: 176. Mohan V, Deepa M, Deepa R, Shanthirani CS, Farooq S, Ganesan A, Datta M. Secular trends in the prevalence of diabetes and impaired glucose tolerance in urban south India--the Chennai urban rural epidemiology study (CURES-17). Diabetologia 2006; 49: 1175–1178. Thorpe LE, Upadhyay UD, Chamany S, Garg R, Mandel-Ricci J, Kellerman S, Berger DK, Frieden TR, Gwynn C. Prevalence and control of diabetes and impaired fasting glucose in New York City. Diabetes Care 2009; 32: 57–62. Onat A, Hergenç G, Uyarel H, Can G, Ozhan H. Prevalence, incidence, predictors and outcome of type 2 diabetes in Turkey. Anadolu Kardiyol Derg 2006; 6: 314–321. Gokcel A, Ozsahin AK, Sezgin N, Karakose H, Ertorer ME, Akbaba M, Baklaci N, Sengul A, Guvener N. High prevalence of diabetes in Adana, a southern province of Turkey. Diabetes Care 2003; 26: 3031–3034. Ozdemir L, Topcu S, Nadir I, Arslan S, Sumer H. The prevalence of diabetes and impaired glucose tolerance in Sivas, Central Anatolia, Turkey. Diabetes Care 2005; 28: 795–798. Turkey Ministry of Health. Turkey Obesity Prevention and Control Program (2010-2014). 1st ed. Ankara, Turkey: Kuban Publishing; 2010. Turkey Ministry of Health. Turkey Diabetes Prevention and Control Program Action Plan (2011-2014). 1st ed. Ankara, Turkey: Anıl Publishing; 2011. Singh AK, Mani K, Krishnan A, Aggarwal P, Gupta SK. Prevalence, awareness, treatment and control of diabetes among elderly persons in an urban slum of Delhi. Indian J Community Med 2012; 37: 236–239. Dinç G, Cambaz S, Nesanır N, Şerifhan M, Baysan P, Pala T, Deveci S, Özyurt B, Özcan C. Manisa Nüfus Sağlık Araştırması 2005. 1st ed. Manisa, Turkey: Yedikardeşler Form & Offset; 2007 (in Turkish). ISNAD SELÇUK, KEVSER TARI , SÖZMEN, MELİH KAAN , TOĞRUL, BELGİN ÜNAL . "Diabetes prevalence and awareness in adults in the Balçova district in Turkey". 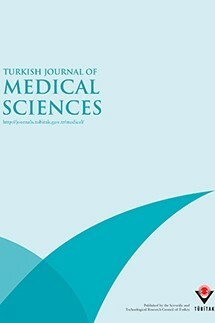 Turkish Journal of Medical Sciences 45 / 6 (December 2015): 1220-1227.